Did you know this about Winnipeg? Six (6) Outpatient treatment facilties. Eight (8) Residential drug rehab centers. Two (2) Youth treatment centers. Six (6) Cocaine Anonymous Meetings. Our goal is to give you the best advice possible for drug rehab in Winnipeg so you or a loved one gets a drug-free life. Winnipeg is Manitoba's biggest city - there are many problems facing addicts when it comes to drugs and alcohol addiction, and a part of these problems include getting away from drug addiction. These people can get help from drug rehab centers scattered all over Manitoba. The city of Winnipeg has a large Aboriginal population, which has been within Manitoba for thousands of years. Unfortunately, drug and alcohol addiction impacts these communities as it does any other community throughout the city. 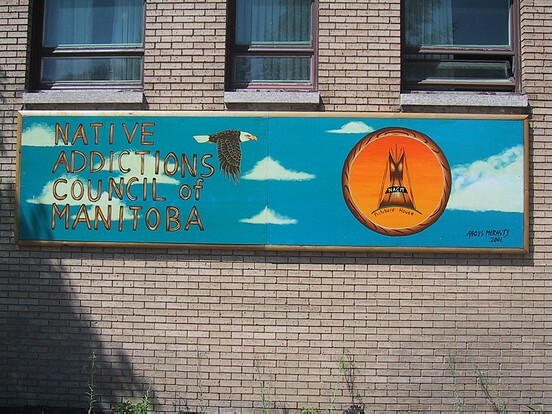 Many of the drug and alcohol treatment programs within in Winnipeg are cultural specific and will provide specific rehabilitation options for Aboriginal people. Throughout the city of Winnipeg are over 80 different drug and alcohol treatment resources that do include inpatient centers, outpatient treatment and numerous detox programs. The type if rehabilitation that is chosen will depend upon the severity of the addiction and what the addict, and their family are coping with. Each addict responds to therapy and counseling differently, and this is why there are distinctive treatment methods offered within many of the services across Winnipeg. The city of Winnipeg is considered to be the ninth largest in Canada and has a population that is about 667,038. This is a huge playground for drug peddlers and drug dealers who find victims among the people. The city of Winnipeg, however, has several rehabilitation centres for drug addicts and alcoholics apart from detox centres and residential centres. These drug rehabilitation centers are equipped with the best brains and technology to help victims get out of their addiction. They work closely with the addicts, their family as well as close friends to ensure that the addicts and alcoholics get a rounded cure for their addiction. Winnipeg is well equipped to take care of the rising drug addict and alcoholism issue that has been of grave matter since the past few years. Although the city has only one women rehab centre, most of the rehabs for drug addicts and alcoholics as well as detox centres, residential program centres and meeting groups aim at helping the victim understand the negatives that come with addiction. These rehabs usually follow a step-by-step method and process that not only assures of success in getting rid of the dreaded habit, but also ensures that the victims are well taken care of. In order to get down the addiction and alcoholism percentage in the city, it is imperative that you as family or friends of the victim understand the need for rehabilitation. If you find that someone that you know needs help and could get too dire situations, then you need to bring them to these rehab centres. Once the victim is counseled and spoken to an appropriate drug treatment is provided. It is important that after the drug addict or alcoholic is treated, they don’t get into a relapse situation, in order to take care of this there are after program treatments, where even those who are completely healed are given attention so that they don’t get into relapse. Since Winnipeg is the ninth largest city in Canada, it is evident that the number of drug addicts and alcoholics in the city are huge. What is even more heartbreaking is the number of young teens between the age group of 12-16. A survey that was conducted found that almost 15% of those in the age group of 12 years and over was addicted to some kind of substance. However, of the huge number of addict only 4% sought help from various rehab and detox centres. Drug treatment centers will be found through Manitoba in sufficient numbers. You'll also find government-funded drug rehab centers. However, these rehab centers usually have a long waiting list with quite a few administrative procedures. There are some non-public drug rehabilitation centers where individuals can be admitted the same day they come to the centers and find the help they need. Private drug rehab centers in Manitoba are often a better option and obtain much better results with difficult cases who relapsed numerous times. Public funded drug rehab treatment centers usually wait for the person to be willing to do the drug treatment and sometimes even ask them to be sober the week before going into the drug rehab center. That is often a problem for drug addicts. But what about the families with a loved one that don't want to follow any drug addiction treatment? The non-public drug recovery centers have the staff to take care of such individuals. Their staff often have their own past drug addiction experience, which makes them understand even better the individuals' needs. With the number of drug addicts and alcoholics on the rise, the crime scene in the city is over the top. Winnipeg alone showed that the sales in handguns and other hand held weapons were on the rise, and this could be a consequence of the rise in drug addicts within Winnipeg. Youth and teens in the city are largely hooked on substances like crystal meth, cocaine heroine, crack, marijuana and even prescription drugs.
. This is evidence that the number of drug addicts in the city is on the rise, and if not curbed would lead to an outburst. It is therefore, the duty of family members and friends to ensure that if they know anyone who is suffering from drug addiction and alcoholism, they need to be taken to any of the city's rehab centres. This website provides information to find addiction help, drug rehab centers, drug addiction treatment, drug rehabilitation, drug and alcohol detox centers, drug treatment centers and any form of assistance with drugs in Winnipeg, which will save an individual from drug and/or alcohol addiction. Calling us is free of charge, and we will gladly help you. The first thing is to contact us where we will go over the situation with you. As previously stated, Drug Rehab Services is free of charge and when you contact us, we will first go over the various treatment available. After this, our counselors will direct you towards the best program available for your needs. The information below will help you on how to find a drug rehab center in Winnipeg, Manitoba. The list could be incomplete, so if you have any questions, please don't hesitate to contact us at 1-877-254-3348. 1150 - 444 St. Mary Ave.